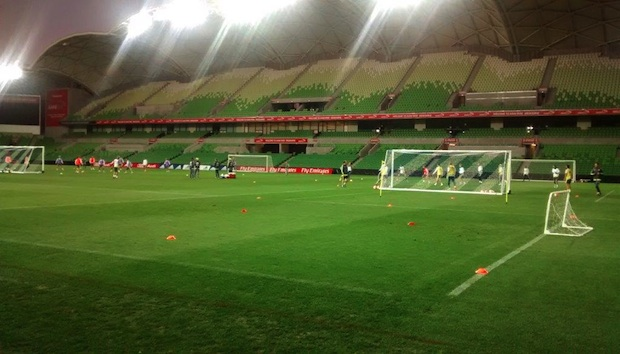 The international quality standard of our Portable Senior Soccer Goals was reinforced during the International Champions Cup in July with superstar teams Real Madrid and Manchester City training with our Goals at AAMI Park. This accolade comes off the back of huge success at the Asian Cup earlier in the year, where the Abel Portable Senior Soccer Goals were used at over 11 training grounds! These popular Soccer Goals comply with Football Federation of Australia and FIFA requirements and are manufactured to a high standard. They are made from high-tensile aluminium with welded corner mitre joints and a safe net clip tracking system. The Goals also contain theft-resistant stainless steel, secure locking and come with a five-year guarantee. For more information on this product or to view additional Soccer Goals suitable for a range of standards of competition please visit our Soccer Goals product pages here.